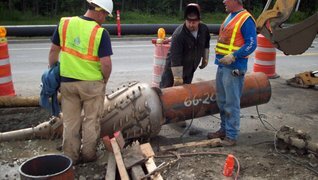 Sliplining is the installation of a new smaller pipe within an existing pipe. 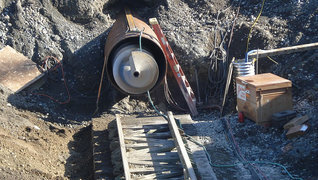 The slipliner is pulled or pushed through the existing pipe and then the annulus between the pipes is filled with grout. 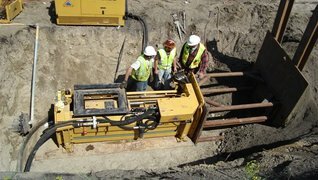 This type of trenchless technology utilizes a pneumatic piercing tool, called a hole hog, to pierce a hole underground without disturbing existing surface structures and landscaping. 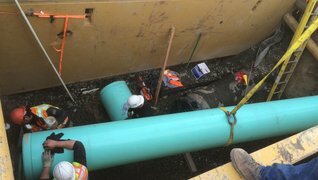 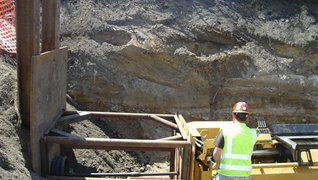 This type of trenchless technology is ideal for short and small diameter tunneling jobs that will minimize excavation of driveways, sidewalks, and parking lots.